It is with great sadness that we inform you of the passing of our colleague Reinald de Meyer on Friday, 5 April 2019. 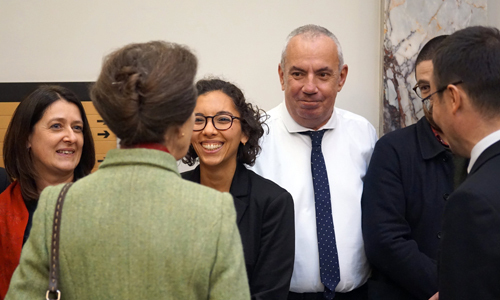 Thanks to his 30 years of service to the Institut français d’Ecosse, Reinald had become the face of the Institute for the members and students who passed through our halls and classrooms since 1989. For his colleagues, he was the institutional memory of our organsation, able to trace how the Institute had changed over the decades. Having started his career at the Institute as a tutor after working as a language assistant in Aberdeen during the 1980s, he would eventually fill many roles during his tenure: teacher, administrator, course director, and later as librarian and front desk officer. A lover of Scotland and cats, he was devoted, generous and kind. Close to many of you after so many years, he will be sorely missed. Arrangements are being made to honour his memory and bid him one last au revoir before he returns to France and to his father, who survives him. Information regarding the ceremony is forthcoming and will be published here shortly.